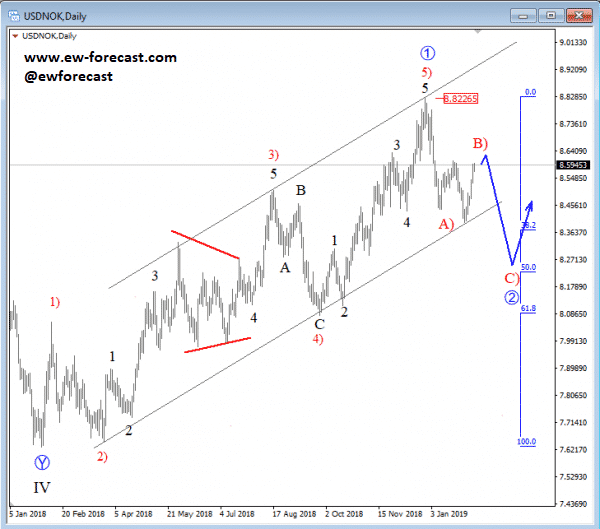 USDNOK unfolded a bigger five-wave rally from start of 2018, and unraveled a bigger wave 1, that found a top at the upper Elliott wave channel line. The sharp reversal that followed from the upper channel line can now be labelled as wave A), first leg that can be part of a bigger three-wave retracement, which can as a whole look for support and a bounce around the Fibonacci ratio of 38.2/61.8 (8.40/8.09 region). 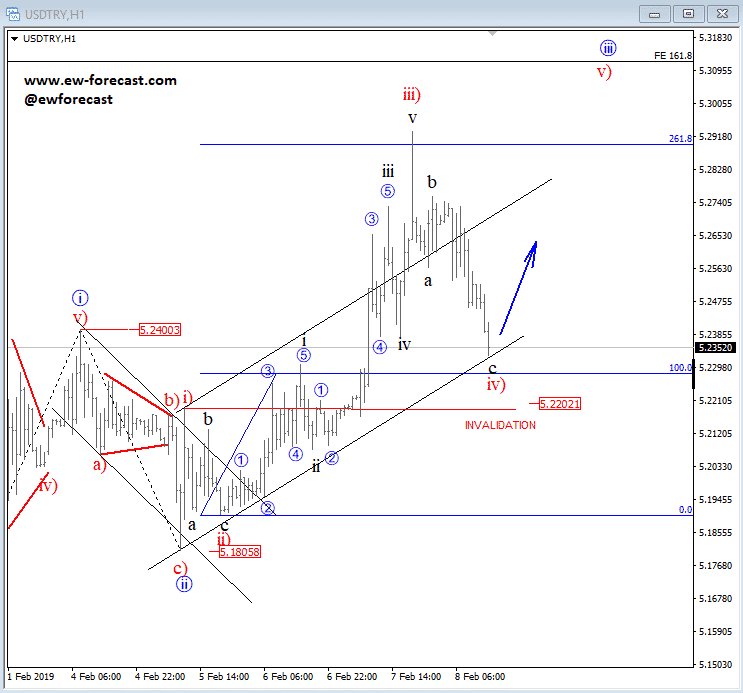 USDTRY made a bigger decline, but still looks like a wave iv) of a higher degree, so watch out for a bounce here back to the highs for a wave v) towards 5.30 area. If from any reason price drops back below 5.22 invalidation level, then we will adjust the view.